Since working at home requires us to balance work and household responsibilities, we've found that enlisting the kids can be quite the blessing! Read on for tips from guest poster Jessica Streit that you can use in your home and business! Three of the greatest lessons we can teach our children are hard work, responsibility and money management. These are qualities and skills that we want our children to possess as adults. Each of these can be taught by assigning your child chores. Chores can be a a requirement or used for earning money, it depends on your own preference. In my home, allowance is given when you do your chores. 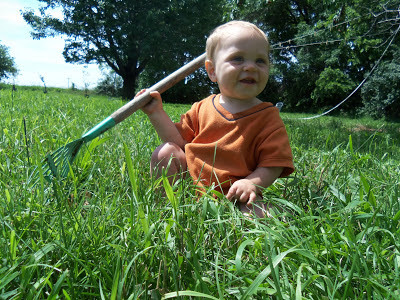 Each child has had chores that they must do for a few years and they change and increase as the boys get older. Teaching these lessons can begin as early 2 or 3. At this age, your child will need a lot of support and reminders to complete their chores; but there are a number of things he or she can do. It is important to remember, that at these ages, children will need a lot of assistance while completing their chores and their idea of “perfect” will not be the same as yours. A bed made by a 6 year old is not going to be perfect. It will, however have gone a long way to teaching your child responsibility. The lesson here is more about responsibility and hard work than it is about making the perfect bed. Once your child has reached their preteens and teenage years, the chores you give them may be the same, however, your expectations should change. Now that your child has been completing chores for years or is old enough to do so without supervision, make it their responsibility to remember to do it on their own. Expect the finished product to be at the same level as your own would be. Or, in the case of my youngest with the duster at my house, even better than your own. Starting your children with the responsibility of chores from an early age will allow them to grow into hard-working, responsible adults who also understand and value the money they earn.